Visitors who have navigated to this page previously will note that we published detailed photographs of the antique clocking-in machine inside the shop, and also of the Pen-y-Ghent Cafe signpost. These were published to provide items of interest for anyone intending to visit Horton-In-Ribblesdale, and the Three Peaks. The photographs contained images of a protected trademark owned by the Pen-y-Ghent Cafe which was shown on a t-shirt and other retail items which were adjacent to the clocking in machine, and also on the Cafe signpost outside the building. Any image bearing a trademark may be published only with permission of the owner of that trademark. Permission to use such images on this website has not been granted to us by the Pen-y-Ghent Cafe. We published the photographs to provide content of historical interest relating to the Three Peaks Walk, of which the Pen-y-Ghent Cafe has become strongly linked. We mistakenly believed the Pen-y-Ghent Cafe would welcome such a reputable association. It is our strict policy not to publish any content which may cause public or personal offence, or infringes upon individuals rights, or the intellectual or proprietary rights of an organisation. We have therefore removed these images in accordance with the request of the trade mark owner. Regrettably some of the narrative content on this page is now devalued by the omission of the respective accompanying photographs. 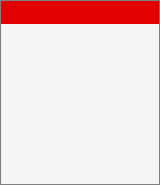 This notification has been inserted voluntarily, and is not a compulsory statement issued upon us by a legal demand. Please see the notes at the foot of this page for any and all queries concerning the clocking in procedures, and for any and all matters concerning the Pen-y-Ghent Cafe. Historically the Three Peaks Walk begins from the Pen-y-Ghent Cafe in Horton-in-Ribblesdale and many thousands of walkers have clocked in at the cafe. Between 1968 and 2000 more than 200,000 walkers had made it back within the target time of 12 hours. The Cafe is run by the Bayes family who have owned it for 37 years. Peter Bayes was looking to leave his job and take on a business in the countryside for the sake of his children. The cafe, or grocers as it was then was advertised for sale in a newspaper. The family saw it on the Saturday and bought it on the Monday. They’ve stayed ever since. The cafe is on the route of the Pennine Way and they first concentrated on getting the cafe known to walkers on this long-distance path. But then the Three Peaks Walk developed, with the establishment of the Three Peaks of Yorkshire Club for those who successfully complete the walk in the required time. The real coup de grace was the introduction of a clocking-in, clocking-out system for walkers attempting the three peaks. Walkers check in with the cafe before they leave and clock in on their return as the cafe will always remain open for three peaks walkers, and this provides a safety service as the family know who are out on the fells and who have yet to return. These notes are strictly for the assistance and interest of walkers who are doing the Three Peaks Walk as part of a privately organised event, and not one for which we have any association. So, if you’re doing the walk, and wish to formally record your day in the hills, or tackle the peaks on a private day out you can make use of the Pen-y-Ghent Cafe clocking in service. Follow these notes to learn about the service and obtaining your clocking in card. Note : The latest time of departure is 9.30am. Although the cafe closes at 5.30pm, staff are on hand until every walker is accounted for. It is the responsibility of each walker to clock themselves back. If you fail to complete the walk for whatever reason, please ensure you inform the cafe that you are no longer on the hills. telephone number, vehicle registration and where the vehicle is parked. You then stamp the card in the clock machine and hand it back to the cafe. When you have completed the Yorkshire Three Peaks Challenge Walk, inform the cafe that you have returned and their staff will stamp your card and send it to you by post. If you have completed the walk within 12 hours you will be invited to join the Three Peaks of Yorkshire Club and purchase a Three Peaks badge and tie. Please Note : This new photograph of the clocking in machine has since been provided to us by the original photographer, John S. Turner who has removed any content to which the Cafe retained any image rights. This image has now been restored to this page for it’s historical content and interest to our website visitors. The image below is of the iconic clocking out/in machine inside the Pen-y-ghent cafe in Horton. Over the years the machine has been used by thousands of Yorkshire Three Peaks walkers to record the time they set out and the time they returned. The clock card is held at the cafe to ensure that all those that set out do return. People who complete the 24 mile route over Pen-y-ghent, Whernside, and Ingleborough within 12 hours are invited to join the 'Three Peaks of Yorkshire Club'. For more information about opening hours we advise contacting the Cafe direct. that may be, or have been provided by the Cafe. The only assistance we can offer in this matter is to provide details of the Cafe, and suggest that they are contacted in respect of any queries or requests. The address and contact details are detailed herewith. 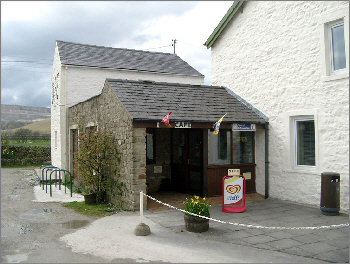 We include information concerning the clocking in procedures for the Pen-y-Ghent Cafe on this site for the benefit of our visitors. Please note that threepeakschallenge.com is a totally independent body, and is not an official representative body for the three peaks walk. We do not have any association with the Pen-y-Ghent Cafe, nor any other organisation concerning the three peaks challenge walks.